North Carolina State University is joining the IBM Q Network, a collaboration of companies, academic institutions and national research labs working to advance quantum computing, making it the first university-based IBM Q Hub in North America. Members of the network get early access to IBM Q commercial quantum computing systems for research purposes, via the IBM Cloud. The goal: exploring practical applications important to business and science, according to a news announcement. "Hubs within the network are critical for accelerated industry collaborations, learning, skills development and implementation of quantum computing, globally," the announcement explained. 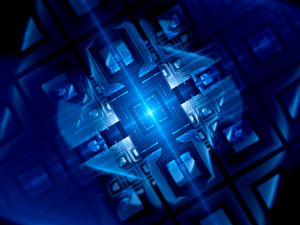 "Academic collaborations are essential to growing the quantum computing community as we look to discover practical quantum applications and drive business and scientific breakthroughs," said Bob Sutor, vice president of IBM Q Strategy and Ecosystem, IBM Research, in a statement. "Building on a 30-year research and education partnership, NC State will play a key role in helping IBM continue to extend our quantum computing ecosystem." "The hub will create a unique opportunity for NC State to address its strategic plan of supporting interdisciplinary scholarship and preparing students for the future," commented Alan Rebar, vice chancellor for research and innovation at NC State. "Our researchers and students will work with IBM scientists, engineers and consultants to further explore and advance quantum computing. The hub, which will be operated from NC State's Centennial Campus, will also drive new curriculum development at NC State, focused on quantum computing." Other IBM Q hubs include the University of Oxford (England), Keio University (Japan), University of Melbourne (Australia), IBM Research and Oak Ridge National Lab.